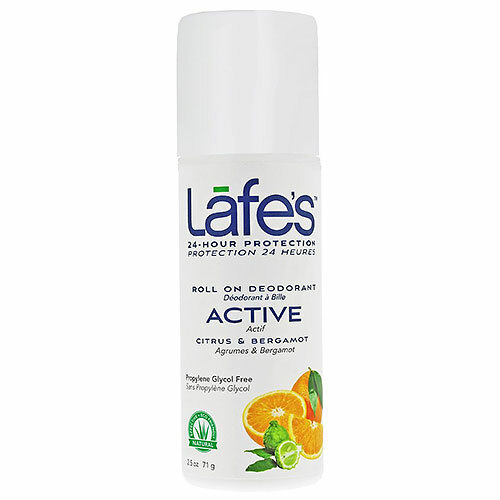 Lafe`s Deodorant Roll On Active with Citrus and Bergamot. Effective, natural deodorant protection in a convenient roll-on formula. Make that “just out of the shower” fresh feeling last all day with our fresh scented natural deodorant. 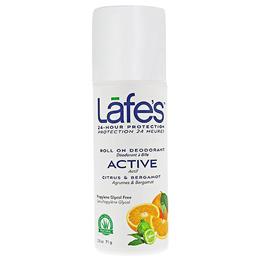 Below are reviews of Lafe`s Roll On Active Deodorant - 73ml by bodykind customers. If you have tried this product we'd love to hear what you think so please leave a review. Lovely smell. Sons favourite. Effective too. Unfortunately I am disappointed with this roll on. The roll ball is much too small and not enough fluid comes out, in my opinion. Not great to use when in a rush or to feel confident with I'm afraid.